Music games in the US have come a long way. As of this writing, a flurry of new music games have been released in the past few months and there isn't any sign of slowdown in sight. From arrow pounding to guitar swinging, bongo beating and soon, keying and scratching, things are really looking up since the old Parappa days. However, the arrow pounding games are still the most popular of them all. 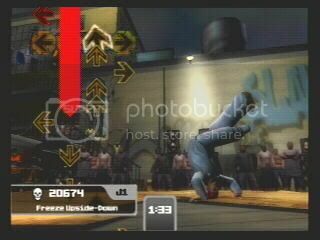 Ubisoft has released Flow: Urban Dance Uprising for the Sony PlayStation 2. 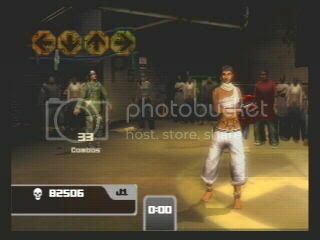 Flow is a dance game where the focus is itÃ¢Â€Â™s hip hop laced soundtrack and urban presentation. It is in this way that Flow drifts away from most dance games which are mostly filled with J-Pop, techno and electronica tracks. It's refreshing in a way to have so many songs like this in a dancing game, but this is also part of the game's Achilles' heel. By only having a specific genre of music, the game really only markets itself to a small group. It also highlights any problems that may be in the game's engine. This would be apparent if it only focused on country, jazz or any single genre. The selection of hip hop music in the game is pretty good. There are even some nice old school licensees like Kurtis Blow, The Sugarhill Gang and Eric B. and Rakim. Another difference with Flow is how long some of the tracks are. Some are as long as 2:45. Others are as short as 1:14. This is interesting because the typical dance game hovers around 1:30. Tracks as long as 2:30 were first found in Konami's Japanese DDR: 5th Mix and haven't really been seen that much since. The longer tracks allow you to get more into the music, but when they get to the end of the track, some songs are abruptly cut off. No fades or any type of soft edit to the track. ItÃ¢Â€Â™s a little sloppy but this is a small nit pick. Aside from hip hop, there are some instrumental tracks that sound like the fusion of jazz-funk and drum and bass. There are few of these, but they provide a nice break from the lyric based tracks. 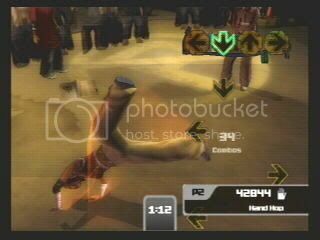 Like your typical dancing game, arrows fly up the screen and you step on the corresponding arrows on your dance pad when they reach the step zone. Successful consecutive steps create combos which increase your score. Flow features standard game modes. Solo is the most arcade-like. 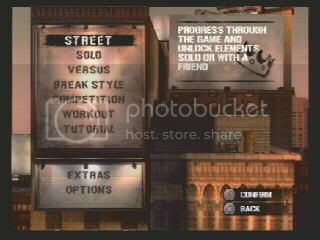 Practice, workout, two player modes and a two player Battle mode are included. You can even set up games for 3 - 8 players, though not simultaneously. There are even built in tournament modes which are pretty good. 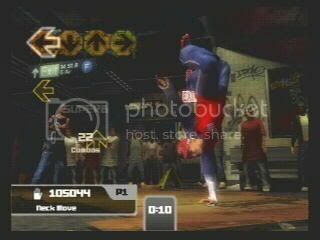 This is something that the leading dance game developers have yet to include in the game itself. 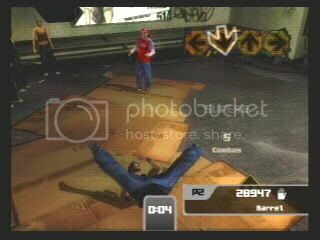 The main game mode is Street mode. It is here where you'll spend the majority of your time as you unlock different items in the game. Battle mode is pretty interesting. You and a friend take turns trying to best each other in score. ItÃ¢Â€Â™s really neat and you get a little breather instead of both of you tiring out at the same time. 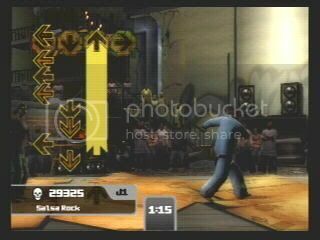 You can both play on individual dance mats or on one mat taking turns. 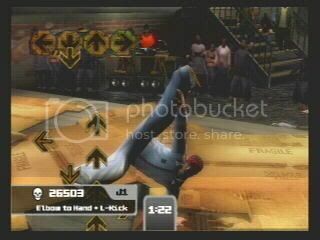 Usually in the background of most dance games, there is a music video or a 3D character dancing in front of a vivid stream of random animated eye candy. Flow goes for the 3D avatar approach but does it a little differently. You can choose a character but they each have different dance styles. This gives them all a personality beyond simply being a character swap over the same stream of dance moves. Additionally, you can unlock different outfits for the characters to wear as well. Flow's characters dance in environments like city streets and rooftops. There are spectators in the background and it's really lively. It can remind one of the atmosphere of a fighting game and how there can be as much going on in the background as in the fighting in the foreground, or in this case, the dancing. 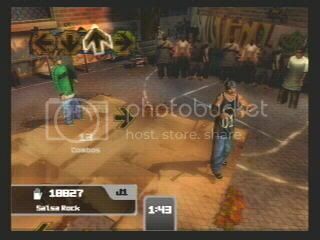 The game also has EyeToy support so you can watch yourself on the screen as you play. 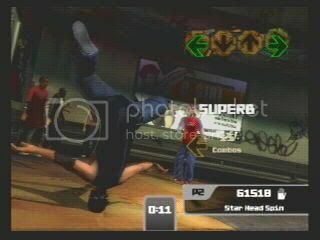 Similarly to Enix's Bust a Groove on the PSOne, how well you do as you play, is reflected by your avatar. Running through a series of quick patterns and not missing a beat? Your avatar will bust out some slick steps. Mess that same string up with a lot of consecutively missed steps and he or she will falter. This gives you some visual feedback because the better you do, the better your 3D avatar dances and you can see them pull off amazing moves as you progress though each song. 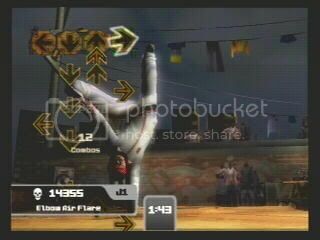 The camera swoops around the stages so you can see the avatar dance from different directions. It's pretty neat as there is always a good camera shot and sometimes the camera is far away on purpose for added dramatic effect. 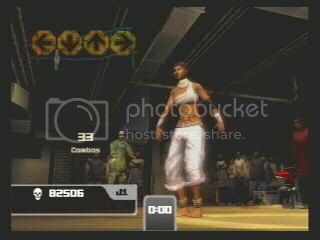 Also, below the score, each motion captured dance move has its name displayed. It's pretty neat as you could copy in real life what the avatar is doing and have a name to go with it. Unfortunately, all the background details come at a price. 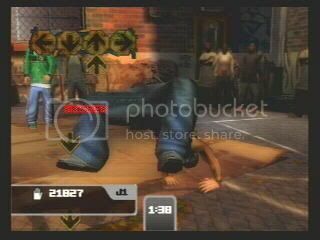 Load times are noticeably longer than other dance games. It takes a while to load all of the models, textures and motion capture data. There is no way to turn these things off in the Options menu. This is a real pain when you're in the game's Solo mode. Solo mode is like an arcade mode. 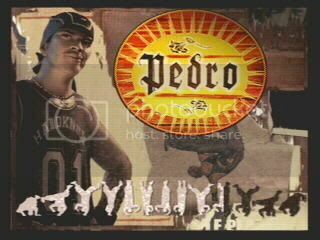 You simply select a character, then a stage and then a song and difficulty. No problem. 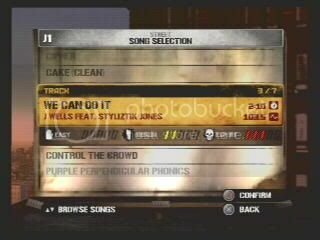 Except for the fact that after your song is over, the game doesn't loop you back to the song select screen. You go back to the stage select screen. If you want to play consecutive songs without the overhead of reloading the stage, you can't. This really slows down your...flow. I guess this option is here so that you don't get bored by playing in different environments but it would be nice to turn this off. Presentation wise, the game does well in some areas and so-so in others. The developer concentrates a lot on trying to make the game 'urban'. It works well as far at the menus go, but it becomes ineffective in the main game. By default, the arrows are a dark yellow and black. This makes them difficult to see. Some people may not be able to differentiate between the different speed steps. They do have different shades of the yellow color, but when the arrows start to move fast or there are a lot of them in succession, they are harder to read. Fortunately, you can unlock character specific step zones and arrow graphics as you progress through the main game. In some cases, it helps, but in others, itÃ¢Â€Â™s worse than the default step zone and arrows. 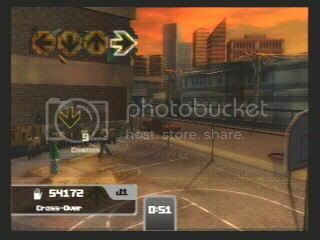 Another thing to note is that when you have to step on two arrows at a time, called a 'chain' in this game, an actual graphic of a chain connects the two arrows. 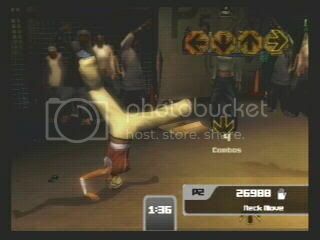 This can be turned off as dance game newbies may like the chain as it is a visual cue that more than one arrow needs to be stepped on, but experienced players may not need this option. 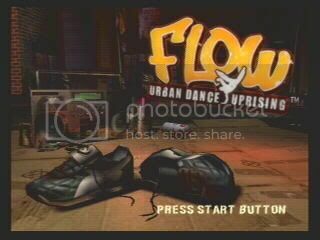 Dance game veterans will be disappointed with Flows lack of options. Other games feature variations on how fast the arrows scroll, if they disappear, is they slide or flip onto the screen. This game has no option to change the way the arrows scroll. You're stuck with the default bottom to top scrolling and no speed or scroll modifications. Shame because this is a cheap and easy way for the developers to add a little difficulty and variety to the game. Speaking of which, the game isn't too terribly difficult if you're used to what Konami and Roxor have been dishing out recently. 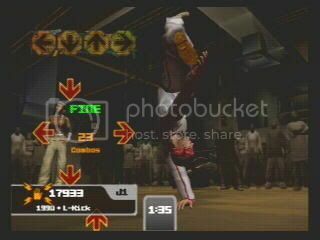 For dance game newbies, the game will be pretty entertaining step wise. There are even a few instances where you'll need to hit 3 arrows at a time. Using DDR as a base, I'd say there are few 9s but nothing even close to 10s in terms of difficulty in single play. And doubles players? Sorry. You can't flow that way in this game. However the game does feature freeze/hold arrows. There is also a way to unlock even harder steps by hitting a lighting bolt icon when it scrolls with the arrows. On one hand, it's good that you have this on the fly change of difficulty, but on the other, why not just have it harder by adding another level of difficulty? Also, there is no Edit mode for creating your own steps. 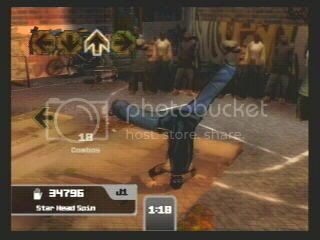 Which is really a shame because the music screams for some customized freestyle routines and the syncopated rhythms some of the music in the game could be base for harder step patterns. All in all, Flow is a solid dancing game but not without a few shortcomings. The lack of options in the gameÃ¢Â€Â™s engine gives it a dated feel. The music in the game is good and is the best reason to play this. 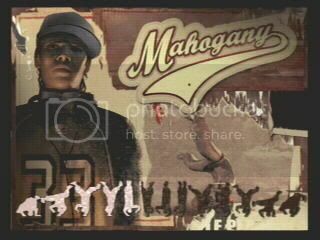 However, if you don't like hip hop now, this game may not win you over. However, I'd recommend adding this game to your library if you want to take a break from the techno and electronica of most dance games. 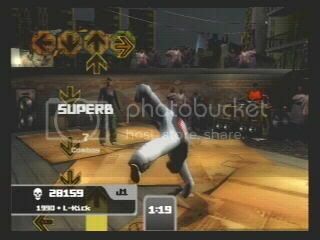 Hopefully the developer can update the engine in a sequel to add comparable options and variety that the leading dance games have.